Forum | Latin Music | Has it leaked? ANY STYLE OF LATIN MUSIC AT ALL, BIENVENIDOS! 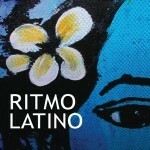 Dedicated to the music of South America, Central America and the World with Latin roots. Rock, Pop, Metal, Latin Jazz, Rap, Funk, Soul, Electronic, Experimental, Psychedelic, Indie, Hip Hop, Folk, etc… whatever you’re into. This forum contains 2 topics, and was last updated by Entea 4 years, 8 months ago.